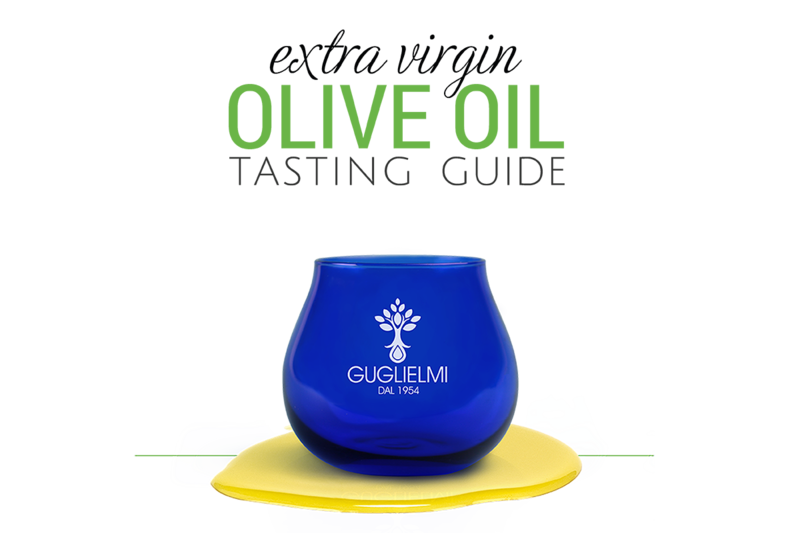 The Extra Virgin Olive Oil Tasting Guide Olio Guglielmi is a simple and practical manual to learn how to capture aromas and scents that characterize the extra virgin olive oil. The Extra Virgin Olive Oil Tasting Guide Olio Guglielmi thanks to a clear explanation with icons, allows you to recognize the flavors felt on the palate. We will explain in a short time what are the techniques of tasting oil and what is the sensory vocabulary to use to describe strengths and weaknesses. 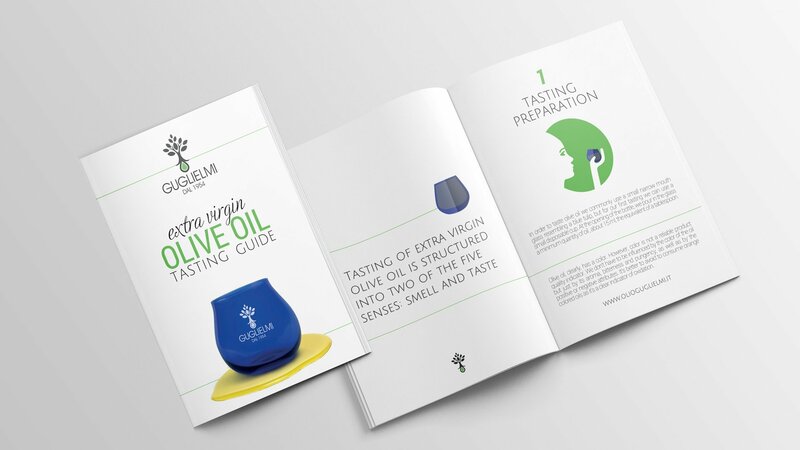 Finally, the concepts provided in this short guide will allow you to distinguish a good extra virgin olive oil at the first taste. Being able to recognize a 100% Italian extra virgin olive oil today becomes increasingly important for the consumer as a symbol of the Mediterranean diet and a healthy lifestyle. That’s why we advise you to taste the oil before your purchase. You can do it by going to the manufacturer. Olio Guglielmi is located in Andria, Puglia. If you were away, you can visit our online shop. Here you will find a wide range of products divided by types of fruit. The tasting of extra virgin olive oil is a unique experience that actively involves the senses. 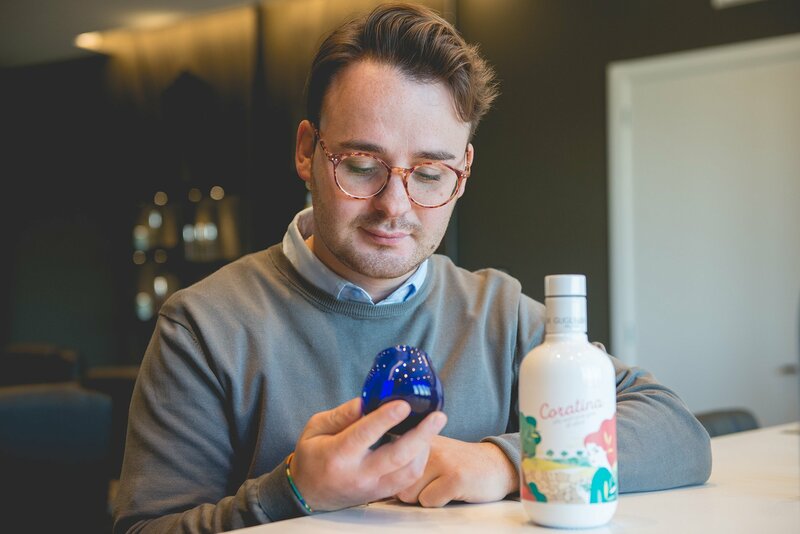 It is the sense of smell and taste that leads you into a sensory journey made of emotions, of drowsy memories that will bring to mind the images of the warmth of the spring sun and the scents of the Puglia countryside. Are you ready for the tasting? The time has come to download the manual, to bring two dark glass cups and start! and download the Tasting Guide!